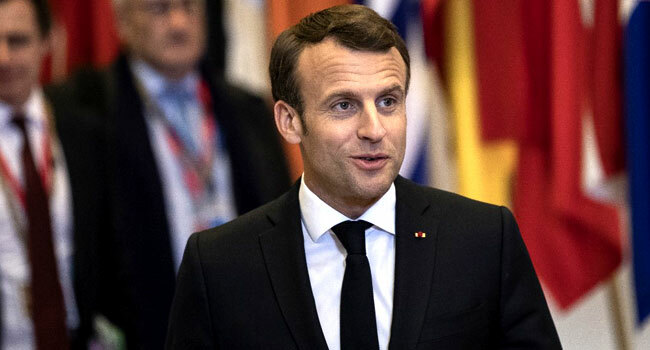 French President Emmanuel Macron was to set out a series of major policy announcements Monday in response to five months of nationwide “yellow vest” protests, in what has been billed as a make-or-break moment for his presidency. Macron responded by embarking on a major voter-listening exercise between January and March called the “Great National Debate”, in which grievances were aired during thousands of town hall-style meetings. The centrist will give a speech at 1800 GMT Monday setting out the “first concrete measures”, the presidency told AFP. One of Macron’s aides told AFP that the country could look forward to “a new act” marked by “profound changes” aimed at drawing the line under the enduring and often violent anti-government protests. “Macron’s five years is at stake,” said Le Figaro Monday, adding that the head of state has “no room for error”. In one of the most important weeks of the president’s career, he is also due to hold a press conference at the Elysee on Wednesday in an unusual move for a man who has kept his distance from the French media. What Macron intends to announce has been kept under wraps. “We need to lower taxes, and lower them more quickly,” Philippe. But most yellow vests boycotted the consultations. They accused Macron of prejudging the outcome by taking their top demands — including the return of a popular “solidarity tax” on the rich which he cut and citizen-sponsored referendums — off the table from the outset.